With its November release, the Open Telekom Cloud now offers more IT security ex works: With the encryption for the Workspace Service and Mongo DB, companies can now quickly and easily protect their digital workstations as well as the scalable, relational databases in the Open Telekom Cloud. There are also further improvements to Telekom's public cloud offering based on OpenStack in the areas of services and management. What’s more, the Open Telekom Cloud has simplified the creation and operation of backup and disaster recovery solutions. With the new Storage Disaster Recovery Service, these kinds of systems and data can be easily mirrored across multiple availability zones. This means that information and applications remain available even if disruptions occur in one of the two zones. 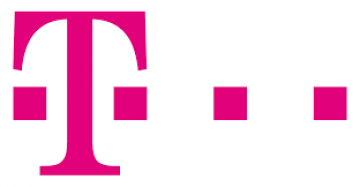 The Open Telekom Cloud with its data centers in Magdeburg and Biere has always offered the possibility of mirroring instances across two availability zones. However, up to now this redundancy could only be set up manually. The new Storage Disaster Recovery Service now significantly simplifies the process – even when companies want to secure legacy applications before they move to the cloud. With the new Independent Quota Management, the Open Telekom Cloud offers the option of limiting resources per tenant or project on the basis of individually defined rules. In addition, resources from the Elastic Cloud Server, Bare Metal Server and dedicated host areas can now be limited separately via quota management. In this way, companies can define different limits for different flavors, remaining flexible and at the same time avoiding inadvertently high costs. The Open Telekom Cloud guarantees availability of 99.95 percent. Users will soon be able to see for themselves: The new Health Dashboard (live in December) shows the status of all the Open Telekom Cloud services online on one website. For example, if one of their cloud services is not working, with just a few clicks a company can rule out an error on the part of Telekom. More operating systems for images: The Open Telekom Cloud’s Image Management Service now supports the operating system version Suse 15. Volume Backup Service: The Volume Backup Service now backs up data on an hourly basis. In addition, "Duration" now provides an additional retention rule and thus the option of storing data permanently in the cloud as a backup, i.e. without a planned deletion date. Cloud Server Backup Service: The Cloud Server Backup Service can now also perform hourly backups. In addition, from December the service will support shared volumes. PLAS IntraSelect: The Open Telekom Cloud’s Private Line Access Service (PLAS) has now been extended with IntraSelect by a Layer 3 connection option – for even faster connections. Tag Management Service:The Elastic Load Balancing (ELB), the Document Database Service (DDS) and the NAT Gateway function can now also be tagged using the tagging service. Cloud Container Engine: With the latest release of the Open Telekom Cloud, it’s now possible to integrate Bare Metal hosts into a container cluster. In addition, the new functions now make the Cloud Container Engine even more convenient for the user. Relational Database Service (RDS): The functionality of the PostgreSQL database can now be extended using various plug-ins. Data Warehouse Service (DWS): Now supports the KVM Hypervisor, MapReduce service cluster and data import from Object Based Storage (OBS). This enables a faster analysis of large amounts of data from different sources as well as encrypted data transfer. Identity & Access Management (IAM): Access Control Lists (ACLs) now enable even more detailed access control to the programmable interfaces (APIs) and the graphical user interface within the IAM. New dedicated host (from December): The Open Telekom Cloud will offer "General purpose (S2-medium)," another KVM-based dedicated host. This means that instead of six, a total of seven dedicated hosts will be available in the Open Telekom Cloud. T-Systems has been cooperating with Huawei for over 10 years and offers solutions for information technology, quality and optimal service for private and public cloud services. Huawei provides the hardware components for the Open Telekom Cloud. Just like Telekom, Huawei is one of the most important members of the entire OpenStack community. Since joining the OpenStack community with more than 600 research and development engineers, Huawei has been helping to continuously improve the open cloud system. In particular, Huawei ranks first in the community for Completed Blueprints, the most important code contribution indicator.